Today was supposed to be a snow day for us here in the Carolinas. Unfortunately for us our 5"-8" of snow forecast turned into 0! We had planned to work from home today and took home a few cups of chili from McConnells Kitchen last night. If you are in the area you have to try their food. They have the best home cooked meals at great prices. The staff is great and you feel at home when you are there. Living outside of the city having a restaurant near by is a rare find! 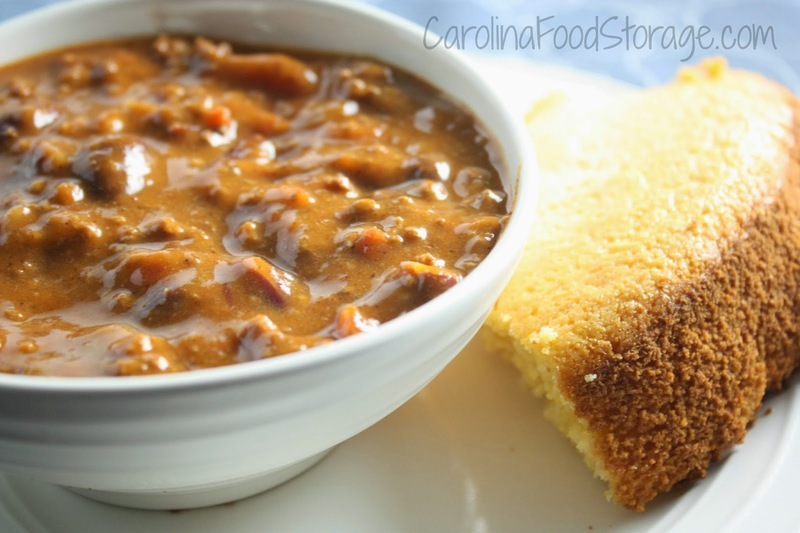 We paired our chili with THRIVE's Golden Cornbread Mix. Since all you have to do is add water and bake it is a super easy side dish. If you love sweet cornbread this one is for you.